New York: Oxford University Press, 1992. 254 pp. $38. A voluminous literature analyses Gamal Abdel Nasser's rule in Egypt and his reach throughout the Arab world. (Faysal Mikdadi's Gamal Abdel Nasser: A Bibliography [Westport, Conn.: Greenwood, 1991] lists 818 entries.) But, as Gordon correctly points out, nearly all of it accepts the Free Officers' own, highly misleading, version of what happened in the two-and-a-half-year period after they came to power in July 1952. That was the time when the conspiracy turned into a revolution, when Nasser emerged to dominate the government, and when the government came to dominate the country. What happened in Egypt between 1952 and 1954 had great significance, not just for Egypt but the many Arab and Third World military officer's inspired by Nasser's example. In masterly fashion, Gordon makes up this deficiency. Relying on recently opened archives, interviews, and a flood of Egyptian memoirs, he makes sense of those tumultuous months, including such murky issues as the alleged U.S. support for Nasser, the role of Muhammad Naguib, and the 1954 assassination attempt in Alexandria. With literary grace and fine historical sensitivity, he explains how the decay of liberalism made Egypt ripe for drastic reform, and how Nasser filled the aching need for a "just tyrant." Finally, the author shows how the debate over Nasser drives much of the current Egyptian discussion about politics. 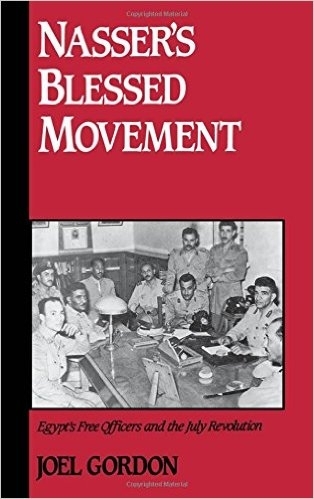 Indeed, should this book be translated into Arabic, as it deserves, it will perceptibly enhance the way Egyptians understand their modern history, and so more solidly ground today's controversies.